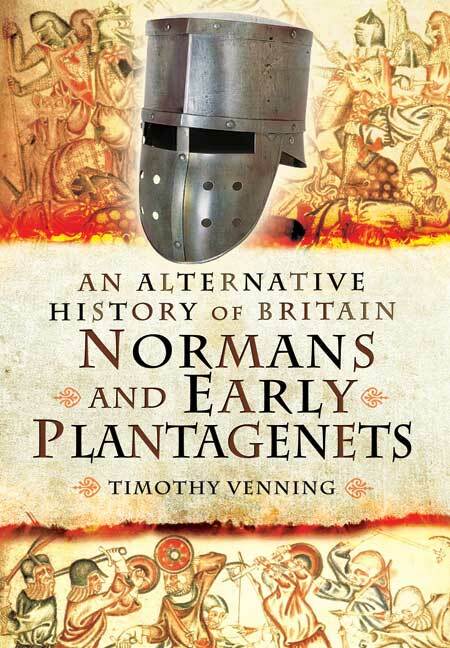 You'll be £19.99 closer to your next £10.00 credit when you purchase An Alternative History of Britain: Normans and Early Plantagenets. What's this? Continuing his exploration of the pathways of British history, Timothy Venning examines the turning points of the period from the death of William I to the reign of Edward III and a little beyond. As always, he discusses the crucial junctions at which History could easily have taken a different turn and analyses the possible and likely results. While necessarily speculative to a degree, the scenarios are all highly plausible and rooted in a firm understanding of actually events and their context. In so doing, Timothy Venning gives the reader a clearer understanding of the factors at play and why things happened the way they did, as well as a tantalizing view of what might so easily have been different. • The civil war of 1136-53, how either Stephen or Matilda might have won quick and decisive victory and the likely consequences. • What if Richard the Lionheart had not gone on Crusade, leaving the inept John to rule in his place? Could the English (Angevin) Empire in France have been saved? What if that fatal crossbow bolt had missed Richard in 1199, sparing him an early death? • What if Edward I's riding accident in 1294 had been fatal, leaving Edward II to succeed at 10 years of age? • A whole chapter deals with scenarios surrounding the Scottish kings - What if Robert the Bruce had been killed in 1306? As featured in The Argus (Brighton), Sussex Express and New Milton Advertiser.